Item2011.13.48 - Pile driver working on Government Wharf, Stewart, B.C. 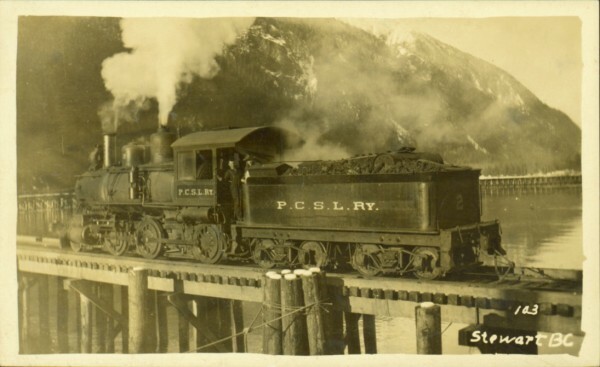 Photograph of a train passing over a bridge near Stewart, BC. Printed annotation on recto reads: "103 Stewart BC." Item is part of the Parker Photograph Collection.